Click here to visit Wholistic Harmony and learn more about Reiki and Sound Healing offerings and events! Reiki is known as Universal Life Energy, Qi and Spiritual Energy. Essentially it is a gentle, non-invasive, yet powerful, healing modality. While, I believe that this energy is accessible to everyone, it is often forgotten or lies dormant. Reiki practitioners receive an energetic transmission, which enables them to readily utilize this healing energy. Reiki empowerments and training enable one to heal the physical, emotional, mental and spiritual levels of all living things. Sound Healing is an effective and proven modality that uses vibrational sound to help reduce stress, alter consciousness and create a deep sense of peace, well being and better health. We hear and feel the vibration of sound, which works directly on our nervous system as it radiates energy throughout our bodies. Unfocused, random, chaotic sound creates dissonance and anxiety. Conscious, focused sound creates resonance and harmony. Sound invites stuck energy to vibrate or move and excessive energy to explore stillness and calm. The sounds of singing bowls and other instruments raise your vibration, bringing harmony to your body, mind and spirit. So blessed to enjoy Julie's amazing gifts as an energetic healer! 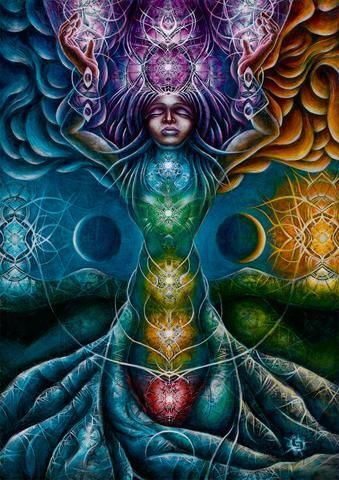 She's a natural symphony of vibrations weaving music, mantras, singing bowls and healing forks with the energetic vibrations of her crystals and gifted reiki hands. With tears, came release from both emotional and physical pain, welcoming in visions of infinite gratitude, love and universal connectivity... but the BEST mind blowing part was the intensity of the vibrations I could feel pulsing throughout my body during and particularly after the healing!